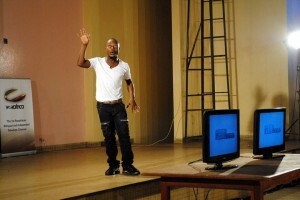 Although Cameroonian comedy has not yet exploded, a few comedians have given it visibility and credibility. Below is a list of our top five comedians. 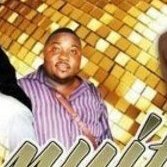 Apart from their ability to draw laughs from crowds, their appeal to all Cameroonians, recognisability, consistency and overall repertoire are the criteria that have been used to come up with this list. So here we go. 5: Valery Ndongo . Since coming on to the scene, the young comic has been busy doing performances. His strength lies in stand-up comedy although he has recently branched into music releasing a hilarious parody-tone track titled “Touche pas mon manioc“. He has created an association called Africa Stand up and hosts with friend Major Assé a stand up comedy show on T.V. However his art just like him is still young so he is the Benjamin of the list. 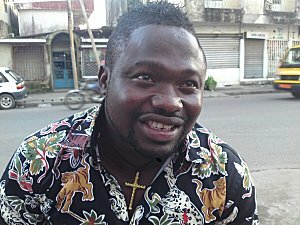 4: Kouakam Narcisse can be rightly described as a veteran when Cameroonian comedy is concerned. From sketches to stand-up comedy, the man has done it all. In the early 90s, he was arguably the king but in recent times he seems to be in hibernation, doing little events and no major stage performances. However his body of work still makes him relevant today. 3: Tagne Kondom: The comic has been around for a while performing sketches and attempting stand-up comedy. Despite his talent he has grown to be known more as Fingon’s sidekick. It is very difficult to picture him as his own man but at least he can be pictured and glaringly. This leaves him in 3rd position right behind his constant associate. ft size-full wp-image-11880″ title=”Fingon-Tralala” src=”http://nexdimempire.com/wp-content/uploads/Fingon-Tralala.jpg” alt=”” width=”300″ height=”225″ />2: Fingon Tralala: Nobody can talk of Cameroonian comedy in recent years without mentioning his name. From sketches to musical parodies and T.V. shows, the guy has been there and done that. His repertoire is so impressive that nobody can laugh at it. Everybody knows his characters like Doctor Agus. However despite the immensity of his talent, the guy has in recent years not kept up the tempo. His most recent jokes are not as funny as before. He has equally disappeared from the comedy scene. However he was on Jambo T.V. recently to present his latest series of short comic films about the Lions. It is for this and only this that he is not at the top of the list. 1: Major Assé: It is true that the guy just burst unto the scene but what an entrance. His style is unique and he has been lining up shows and performances like none other. For the short time he has been around he has succeeded in making himself a fixture on the comedy scene. This impressive entrance, unique brand of comedy and consistency are what have put him at the top of the pile. 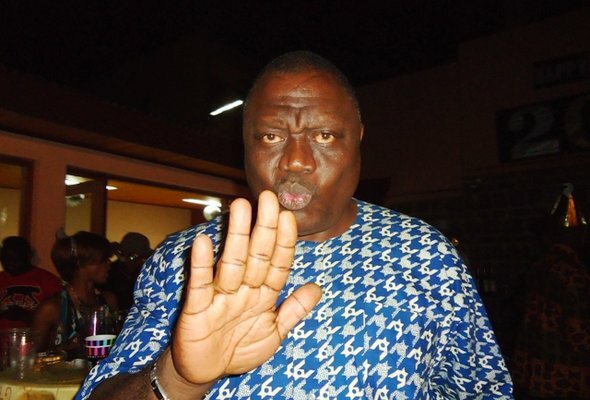 In 2007 , he won an African award for comedy, in 2009, he won the award for best comedian at the Canal d'Or. With his colleague Valery Ndongo, he hosts the Stand up Night Show on Canal 2. Recent reports say he is about to start workshops to train up and coming talent, just what a guy at the top of his game will do. “La copine nationale” is the man to beat right now when comedy in Cameroon is concerned. If this list had to be made any longer guys like Houga, Big Mami, Djoudjo Kalaba, Ntu Finger and duo Sparko/Zachary could possibly make the cut.